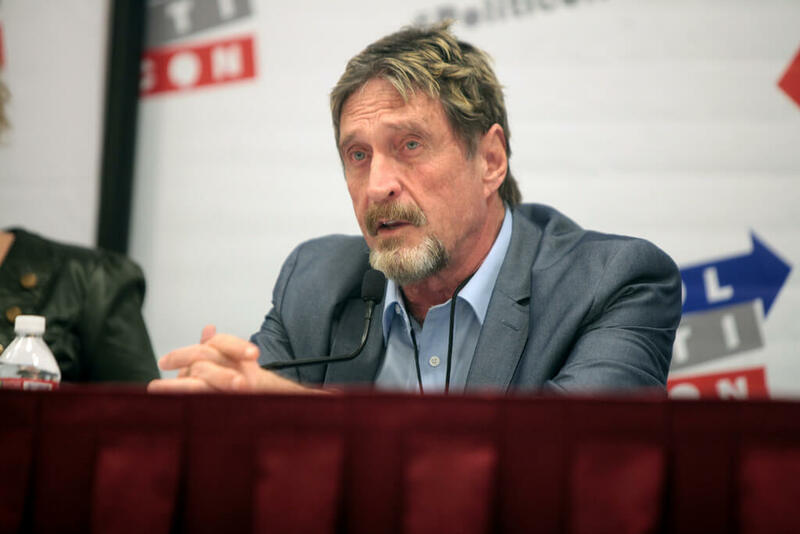 Bottom line: Judging from his colorful past, John McAfee has probably done a few things in his life that he regrets, and it’s starting to look like calling his Bitfi cryptocurrency wallet “unhackable” is turning into one of them. After the device was broken into by a 15-year-old and made to run Doom last week, more security researchers have hacked the wallet, leading to veiled threats from the Bitfi team. Bitfi offered a $250,000 bug bounty to anyone who could compromise the device and steal its crypto coins, which hasn’t been achieved. But researchers have been able to send signed transactions using the wallet, which should qualify them for a second, $10,000 bounty. Three criteria were needed to claim the ten-grand prize: modify the device, connect to the Bitfi server, and send sensitive data using the wallet. In response, Bitfi said in a now-deleted tweet that the researchers' work might have “consequences,” which led to them posting a statement on Pastebin. “We aren’t engaging with Bitfi after they made several threats on Twitter,” it reads. “Bitfi keep on trying to redefine what "unhackable" means. John McAfee, meanwhile, is trying to laugh the whole thing off.